It gives me immense pleasure to welcome you to the webpage of one of the premier training institutes of CRPF, Counter Insurgency & Anti Terrorism School(CIATS), the home of the "Jungle Warriors”, located in Shivpuri district of Madhya Pradesh. I am glad you have spared time to visit our page and learn about our proud heritage and history of academic and leadership excellence. I feel proud and honored to lead this institution which is one of the best training institutes in CRPF. Within a very short span of time, this institute has achieved a lot in the field of training. I feel proud to say that this institution has been adjudged the best training institution thrice since its inception in 2009. This is all because of the sincere hard work of staff who has always given their best. I congratulate all of them who have given their efforts to bring this institution to a platform which commands respect and unparalleled repute. Saluting the motto of the institution "युद्धस्व जेतासि रणे सप्तनान” (Bhagavad Gita: chapter 11, verse 34) where in Lord Krishna guides Arjuna that "Let you fight, you will be victorious in the war against enemy (evil)”, a willing attitude is groomed amongst trainees to render their valuable services to restore and maintain peace. Here, at CIAT School, we scrupulously ensure that trainees master knowledge and skills required to successfully address internal security challenges with specific focus on Left Wing Extremism theatre. In the training curriculum, they are honed in the handling of Small Arms, special weapons, map reading, field craft, tactics, navigation devices, geographical information system, jungle survival, etc so that they can efficiently tackle various situations in the field. 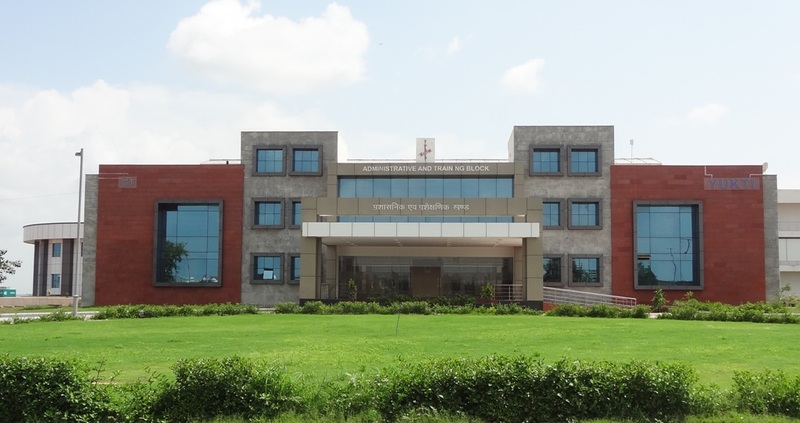 This institute has set an example of digitalization by embracing the use of wide variety of modern education gadgets. I foresee a bright future for this institution which refuses to accept complacency. It ceaselessly strives to welcome and accommodate modifications to enhance quality, relevance and efficacy of training process vis-à-vis developments in internal security scenario. I would conclude my message with the couplet composed by renowned Poet Robert Frost which guides CIAT fraternity in its march towards excellence.